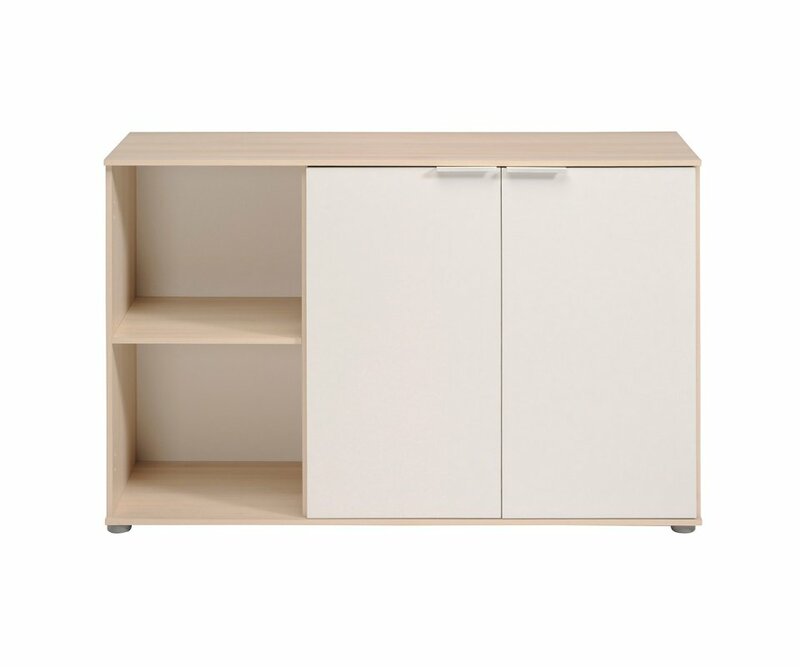 RoomSmart’s Kingdom Sideboard with 2 Doors measures 47.2” W x 15.7” D, adding space-saving storage to any size home, apartment or condo. The sideboard is built from top-quality MDF boards and heavy-duty steel hardware, and is finished with durable veneer, so shelves will remain strong and sturdy, and the finish will resist scratches, stains, water ring marks, and fading or yellowing from UV rays. 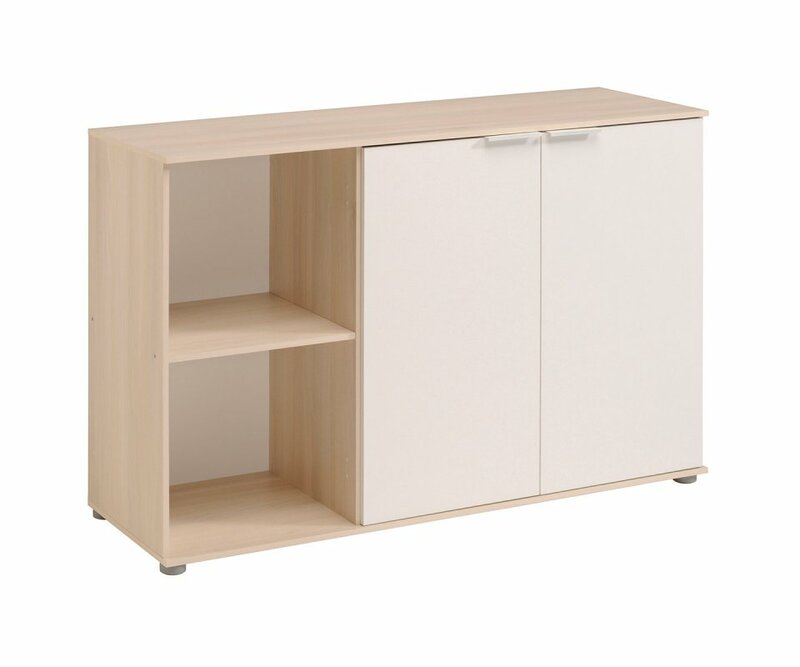 It is available in a Light Acacia woodgrain veneer accented with solid White cabinet doors, offering a light neutral color palette that coordinates with many home interior styles and colors. A sideboard is designed to hold china and serving pieces, with a buffet surface on top for serving. It can also be used as a home cocktail bar, coffee bar, or in a home office as a credenza for organizing desk supplies and files. You will find that this eclectic sideboard style will soon be an essential piece of furniture in your home design!